Here comes The Joker from the Suicide Squad movie taking shape as a bendable action figure! Highly detailed, this action figure can be bent and posed any way you like giving you endless possibilities to cause havoc or even recreate your favorite pose. 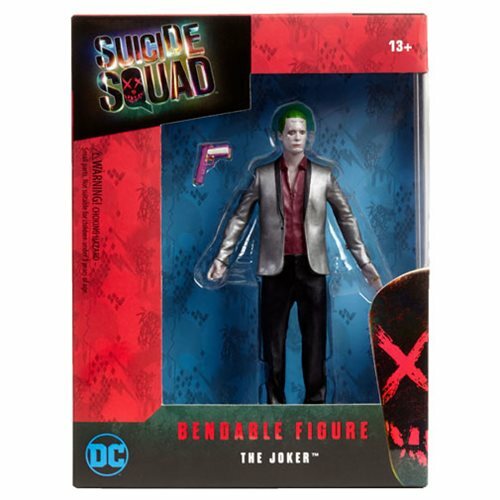 The Suicide Squad The Joker Bendable Action Figure is a must have for fans of Suicide Squad. Ages 13 and up.